Evening folks…on this nice rainy day/night! I've been getting a few request for an update on the local eagle nest. Here is what we know so far. It looks like we have a pair forming a bond and establishing a territory. 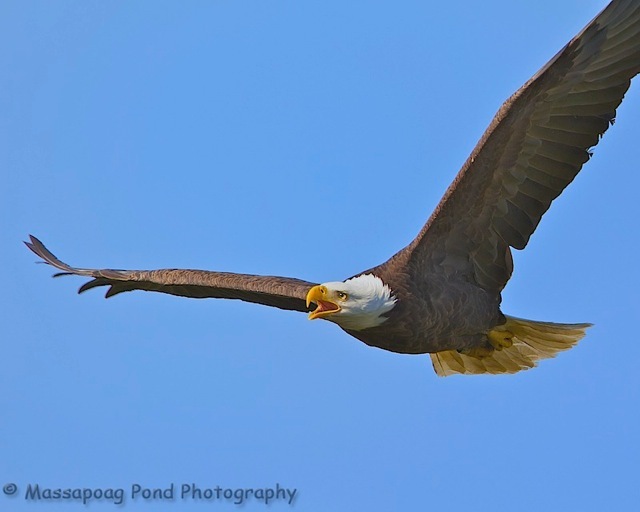 One of the eagles is a MA banded bird with a State band of A/D. This bird hatch in 2007 at a nest in South Central MA. The second bird appears to be a third year eagle with no bands. They have been coming to the nest most morning at daybreak for a bit and then some days at sunset. So does seem they are roost at night on the Lake. Here are links to recorded videos from the evening of June 1st and yesterday morning June 6th. Have a great weekend everyone and stay dry if you are in New England!